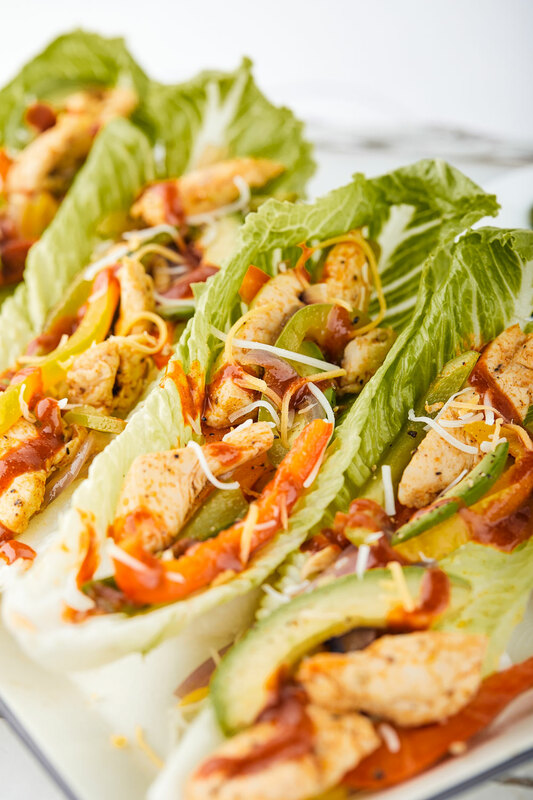 These chicken fajitas are such a great alternative to the usual heavy carb-loaded fajitas. I skipped the beans, corn and tortilla wraps and instead used plenty of veggies and romaine lettuce hearts. The combination of fiber and protein will keep you full throughout the entire evening. 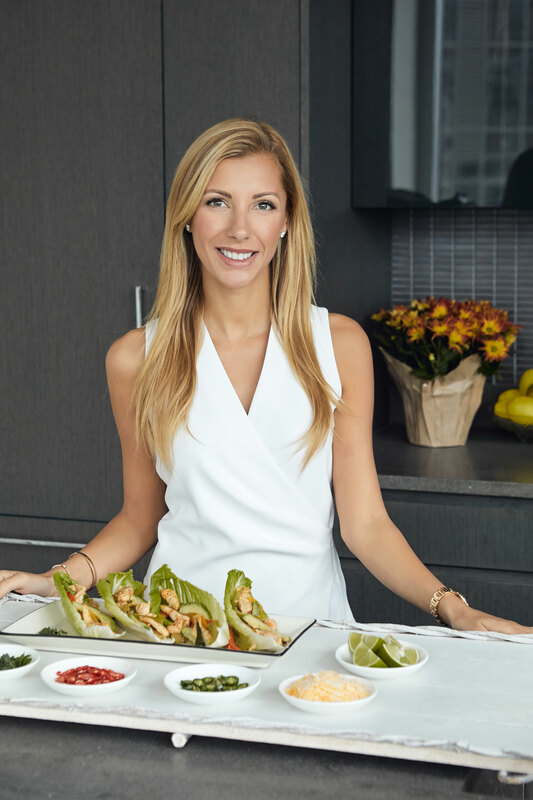 Nedi’s Tip – if you are dining out at a Mexican restaurant, ask the chef to swap the tortilla with lettuce. Most places will do this and it can make the meal much more nutritious and figure friendly. STEP 1. Heat 2 tablespoons of olive oil in a large skillet over medium heat and add the chicken, sweet paprika, cayenne pepper, cumin, turmeric, salt and pepper. Sauté for 8-10 minutes, until chicken is golden. Turn off heat and transfer chicken to a plate. STEP 2. Using the same pan, heat the remaining 2 tablespoons of olive oil over medium heat. Add all of the veggies without the romaine lettuce. Sauté for 5-8 minutes until the veggies are tender. Be careful not to overcook them. Season with salt and pepper. STEP 3. 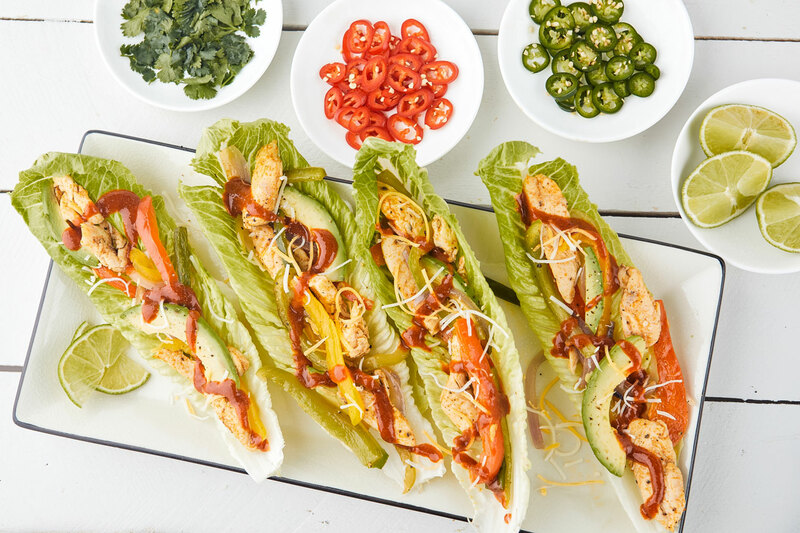 Build your chicken fajitas by topping the romaine lettuce boats with chicken, veggies and your favorite toppings.